Allow to harden on wax paper. 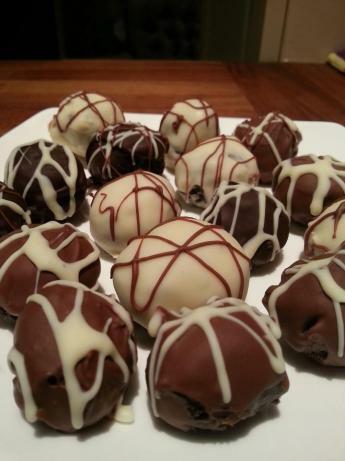 When Oreo balls are no longer sticky to the touch, decorate with drizzles of chocolate and white almond bark. I just use a sandwich bag with a tiny hole cut in one corner to drizzle the almond bark.